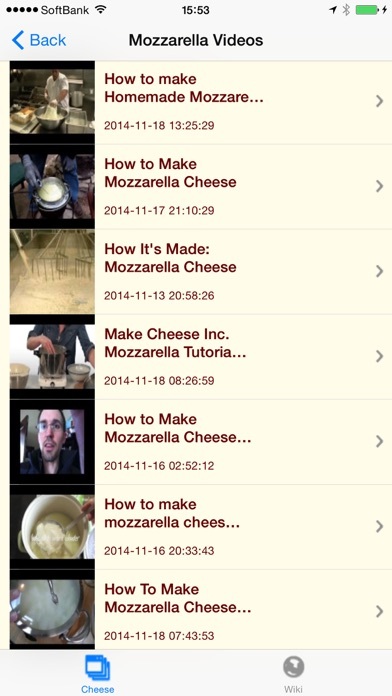 With this iPhone application, You will discover tons of photos, videos, recipes, library and other multimedia contents all about cheese. 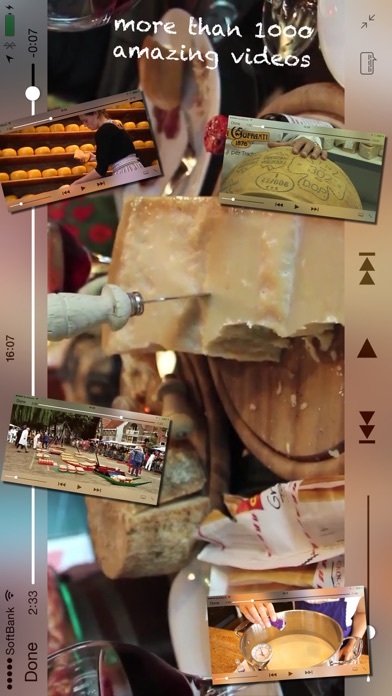 Cheese is one of the most varied and flavorful foods in the world. 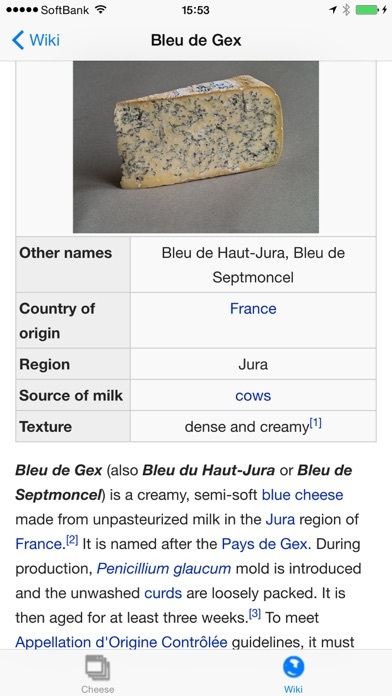 Its unique appeal lies in its range of textures, aromas, flavors, means of production, and milk sources. 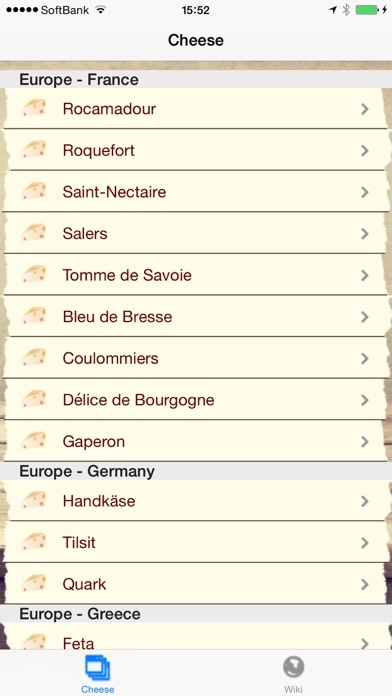 The application covers the wide range of products of the countries all over the world. 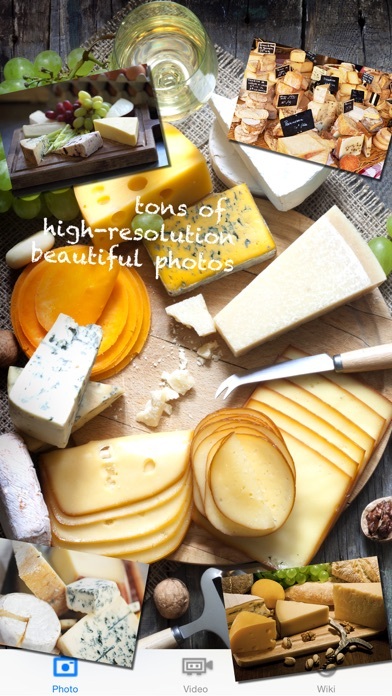 Features: 1) Tons of high resolution cheese photos 2) Over 1,000 cheese videos 3) World cheese wiki library 4) Daily updated contents Covered topics: - Processed cheese - Smoked cheese - Blue cheese - Goat milk cheese - Cottage cheese - Paneer - Shanklish - Bergkäse - Bryndza - Herve - Limburger - Passendale - Kashkaval - Halloumi - Kefalotyri - Leipäjuusto - Abondance - Beaufort - Bleu dAuvergne - Bleu de Gex - Brie - Cancoillotte - Cantal - Camembert - Chabichou du Poitou - Chaource - Chevrotin - Comté - Crottin de Chavignol - Emmental - Époisses de Bourgogne - Fourme dAmbert - Laguiole - Langres - Livarot - Maroilles - Mimolette - Vacherin - Morbier - Munster - Neufchâtel - Ossau-Iraty - Pélardon - Picodon - Pont-lÉvêque - Pouligny-Saint-Pierre - Reblochon - Rocamadour - Roquefort - Saint-Nectaire - Salers - Tomme de Savoie - Bleu de Bresse - Coulommiers - Délice de Bourgogne - Gaperon - Handkäse - Tilsit - Quark - Feta - Myzithra - Liptauer - Cashel Blue - Asiago - Caciocavallo - Castelmagno - Casu marzu - Mozzarella - Fontina - Gorgonzola - Grana Padano - Mascarpone - Montasio - Parmigiano-Reggiano - Pecorino - Provolone - Ricotta - Scamorza - Taleggio - Edam - Gouda - Leerdammer - Brunost - Jarlsberg - Oscypek - Cabrales - Mahón - Manchego - Tetilla - Idiazabal - Torta del Casar - Sbrinz - Gruyère - Appenzeller - Raclette - Tête de Moine - Vacherin - Cheddar - Cheshire - Gloucester#Varieties - Lancashire - Red Leicester - Sage Derby - Stinking Bishop - Cream and much more! *You must be connected to the internet to enjoy this app.